Respiratory failure is not a disease but a symptom of an underlying pathology affecting lung tissue function, O2 delivery, cardiac output (CO), or the baseline metabolic state. 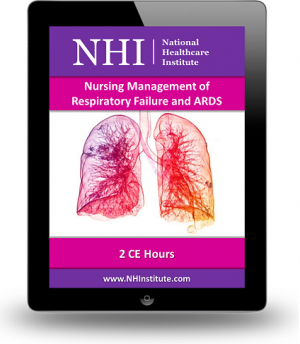 This course discusses the pathophysiologic mechanisms, clinical manifestations, nursing and collaborative management of the patient with respiratory failure. It will also discuss the pathophysiology, clinical manifestations, management strategies and prevention of ARDS.